In my work as a healer I perform a complete soul-analysis and a unique energy healing completed on the level of individual therapies. By attuning to the real causes and roots of the people’s questions and problems who turn to me, many times the complex system of the karmic problem, belief patterns and self-punishing cycles of pain is revealed, which might have been born on the level of the present but more often in the previous lives and which creates the failures, recurring physical or emotional pains, difficulties or diseases of the present life. The karmic solution and the anchoring of the healing spiritual energies are completed in my presence as a Lemurian priestess, and clairvoyant counselor with the help of the healing energies of Heavenly Mercy, through the energetic release performed on the levels of the past and the present and by the healing power of the recognitions and of becoming more conscious. The treatment usually takes 3 to 4 hours, during which we usually reveal the roots of the concerned problems in an extreme depth, and many times we receive the answer about the stellar roots and the mission codes of the present life, so that the patient may position herself on her spiritual pathway as a human being and as a soul too. In addition to the treatment, I usually recommend using classic homeopathic remedies and some of the Energy essences. I have been doing this healing work since 1988, and thanks to the Celestials, I have managed to bring back the joy of the Light and the hope of recovering and finding real answers for even the painful events of life to so many people, by revealing the past and the higher relations. Due to the frequent group work however, we have less time left for the individual treatments. But according to our future plans, we would like to do more of the personal therapies again and take on a little bit less of the group work. 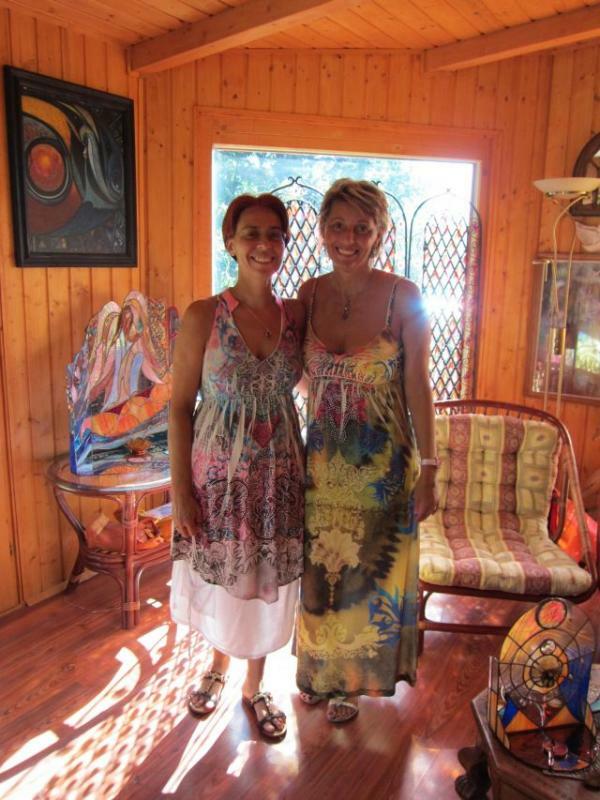 In the summer of 2005, we felt the time had come for us to share the secret of the sacred art of healing and the wisdom of the Pleiadian healing source – which we are guided by and which is so deeply connected to our soul -, with some of our students. The Lemurian Healing Mystery has been a miraculous way of therapy and a great Heavenly gift ever since, in the hands of those who have remained in our group to walk this pathway together, as this healing method has brought so many healing moments full of recognitions and turning points of fate in the lives of so many people! After our Celebration of Light on 17 August 2007, the Celestial Grace gifted us with yet another barely expressible miracle and inestimable treasure. The complex system of such a healing method was born from that, along a very precise sacred order, which had never been accessible on this planet before! This therapeutic method is based on the life and destiny-fulfilling teaching of the Stellar Nations and on the relating multidimensional consciousness with its perspectives that are almost incomprehensible yet. Its foundation, axis and heart is the manifestation and transmission of the Mystery of Mercy and Redemption by the highest level presence of the Holy Spirit – the 13 th Stellar Nation – and by the invocation of the exceptionally powerful healing rays of certain Stellar Nations. This method of healing is a unique and extremely powerful sacred ritual that opens the possibility of very deep level karmic releases, the creation and sharing of which with certain students of ours has been the most beautiful, sublime and heart-warming experience of our life so far! This soul-healing method, which has become known as The 13 Pathways of Astro-Cosmogenesis, is a complete and perfect system in itself – just like the way of the Lemurian Healing Mysteries was -, in the representation and transmitting of which the healing community of our Temple has been reborn, too. In the first group, 25 of our students were initiated and sanctified, thus they received the authorization from us and the Galactic Council of the Stellar Nations to use this healing mystery for helping the Lightworkers who search for their stellar origins, their pathway and the purpose and mission of their lives; and all the people who seek the physical-emotional balance, healthiness and happiness despite the burdens of all the pain, fears, diseases and karmic weights.